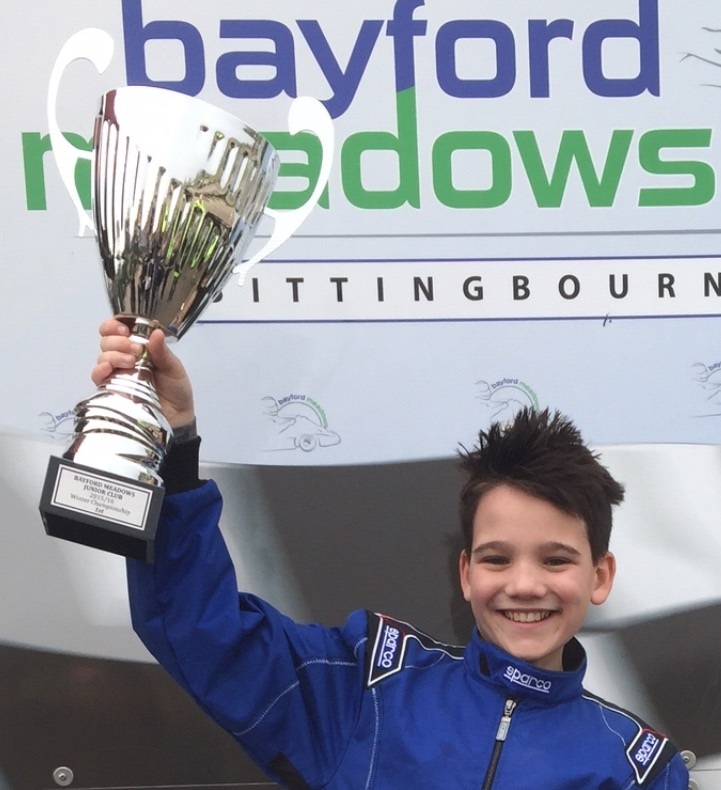 Harvey Roffe has been crowned the winter series champion at both the Bayford Meadows and QLeisure Kart circuits in the Junior Club Championships. It has been an exciting season for the youngster who races in the 8-13 age group. He won first place in the ‘Silverstone class at the Bayford Meadows Junior Winter Karting Championships earlier in March. He then completed the double at the QLeisure circuit near Brighton this weekend. The 11-year old has had a dominant run through the winter season winning multiple rounds of each championship to walk away with the crowns. Harvey has been racing for just three years and competes at a number of junior kart races across the South East with sponsorship from M2 Computing.